Taking care of your clothes can also reduce their environmental impact. More than 30 percent of a garment’s climate footprint—from fiber production and apparel assembly to transport and sales—occurs after it leaves the store, according to H&M. 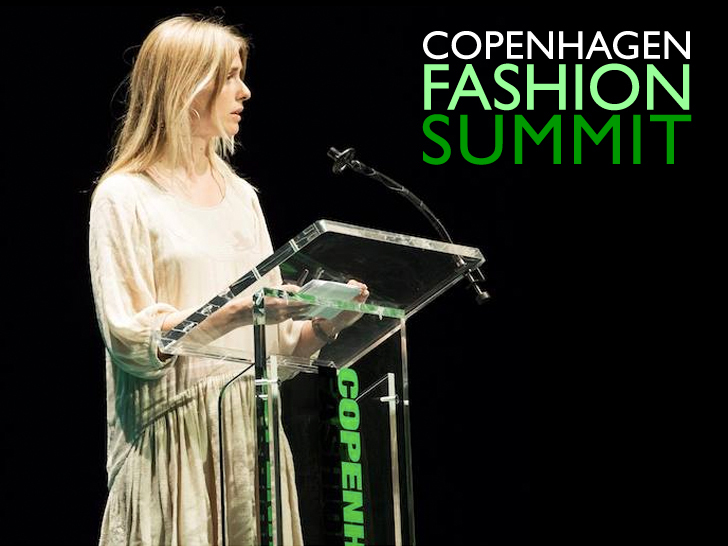 “We knew that by lowering the temperature from 60 degrees Celsius to 30°C, or hot to cold, when machine washing, you reduce energy use by 50 percent,” Catarina Midby, H&M’s head of sustainable fashion, told the Guardian. “Hang-drying saves 17 percent of the total climate impact in the life cycle. Ironing can be reduced if you steam clothes in the bathroom while showering and you can hand-wash most dry clean—only knits and silks,” Midby explains. The care symbols show the maximum treatment. Washing at lower temperatures can help the environment by using less energy. But washing at a lower temperature may affect the cleansing performance. Read the instructions on your detergent pack. Do not use the prewash program, unless the textile articles are very dirty. Fabrics made of synthetic fibers or mixed fabrics should not be washed together with linen (flax) (risk of pilling). Spin-dry laundry at the highest possible speed in the washing machine, because the less water the laundry contains the less energy and time is needed for drying. But keep in mind that spinning can result in heavier creasing. Only place articles which require the same drying time together in the dryer. Cotton and synthetics, for example, have a very different drying time. Some articles should preferably not be tumble dried e.g., cotton knitwear because of shrinkage, wool because of felt formation, silk and polyacryl articles because of heat damage, and curtains because of the risk of creasing. Dry white and light items in the sun and bright or dark items in the shade. Use towels to blot excess moisture from sweaters, stockings, delicate underwear. Hang these items to dry only if the weight of the water will not stretch them out of shape; otherwise, dry them with a towel on a flat surface. Always dry silk in the shade. Iron only if necessary, and iron at the appropriate temperature. You can avoid ceases, for example by using fabric conditioner, removing items from the washing machine or dryer as soon as it stops, and/or drying it on a hanger. The maximum ironing temperature should be selected only on the basis of the care label and not according to the fiber content of a textile article. I'm all for the environment BUT I shouldn't have to have research online how to decipher these ridiculous washing instruction symbols. H&M prints the fabric info in every language imaginable inside the garment - but not a simple decoding of these annoying symbols! Nothing clever about this. Stella McCartney wants you to back away from the washing machine. 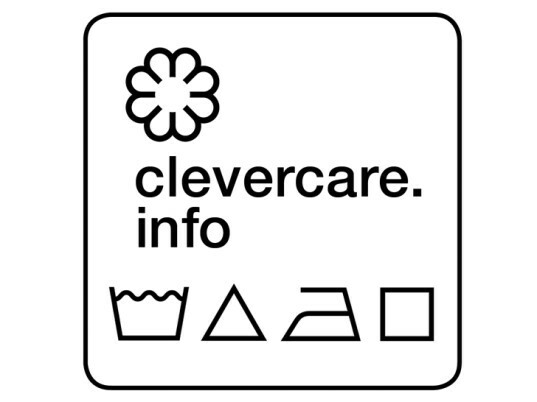 The British designer made a video cameo at the Copenhagen Fashion Summit on Thursday to introduce "Clevercare," a new garment-labeling system created by Ginetex�the Swiss company behind those ubiquitous clothing-care symbols�and previous McCartney collaborator H&M. "The less you wash your clothes, the better," McCartney said. "I was told that by the tailors on Savile Row when I worked there and it's true, clothes last longer if you wash them less and care for them more. And less washing saves water and energy."